Under intense pressure from African-American LGBT leaders and others, Pride Houston Inc. agreed Thursday night to reschedule the 2015 parade to avoid a conflict with Juneteenth, a nationally recognized holiday that commemorates the end of slavery in the US. 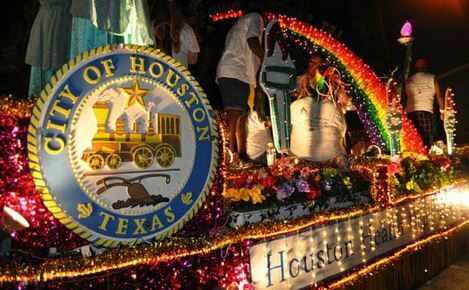 As Towleroad reported Thursday, Pride Houston board members initially refused to reschedule the parade in a letter to African-American LGBT activists earlier this week. But pressure continued to build, and even the statewide group Equality Texas issued a statement Thursday calling for the parade to be rescheduled. Houston's parade has traditionally been held on the last weekend of June to mark the anniversary of the Stonewall Rebellion. However, this year the Pride Houston board decided to move the parade to the third weekend in June — to avoid any conflict with the Fourth of July holiday and to allow people from Houston to attend other Pride celebrations around the country. But the new date, June 20, fell on the same weekend as Juneteenth (June 19), and black LGBT activists said the decision threatened to drive a wedge between the African-American and LGBT communities at a time when the city may soon vote on an Equal Rights Ordinance. 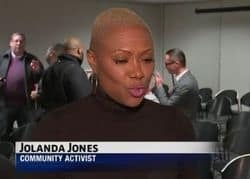 "It's really important because civil rights for all of us are trying to be set back," Jones said. "We need to stick together." After a lot of pressure, the board of directors for Houston Pride Inc. announced the date of the Pride Parade will be switched back to June 27th. "I'm satisfied with the date change," said [black LGBT activist] Ashton Woods. "That was the ultimate goal." "We believe everyone here will be happy with that and look forward to moving forward," said Houston Pride Inc. President. Frankie Quinjano. Now was that so hard? It wouldn't have been if you'd listened to the Black LGBT community and our allies when we first told you about the problematic date conflict to begin with. instead of blowing us off. … We'll be watching to make sure you follow through on what you told that packed meeting room you'd do. As it turns out, some Pride Houston board members had not even been aware of Juneteenth, which led Woods to tell KTRK-TV, "(The board) needs cultural sensitivity training." To their credit, Pride Houston board members reportedly plan to establish a cultural diversity committee.